Deadpool forms a new team, the X-Force to protect a kid from Cable who has come from a possible future timeline to kill the boy. 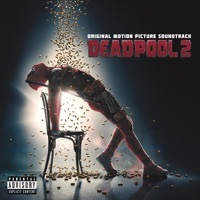 The original Deadpool 2 soundtrack and score is composed by Tyler Bates, while the music supervisor from the first instalment, John Houlihan will reprise his role for this sequel. Opening song; plays in the Logan music box. Deadpool sets up his apartment to blow up. Song heard at the nightclub. Montage of Deadpool as a international contract killer. Wade has drinks at Weasel's bar. Wade enters Blind Al's apartment. Flashback to the death of Cable's family; [1:18] repeats as Cable tells Wade why he wants to kill Russell; [1:35] Deadpool intercepts a bullet meant for Russell. Wade and Weasel interview prospective X-Force members. Russell releases Juggernaut; the truck crashes. Cable enters Blind Al's apartment. Cable and Domino complain about Dopinder's choice of music in his cab. Wade plays this song outside the X-Mansion as he asks Colossus for help. [1:27} Colossus holds Wade on his arms. Deadpool, Cable, Domino and Dopinder arrive at The Essex School. [1:28]} Colossus fights the Juggernaut at the courtyard as Deadpool and Cable fight the guards. What song plays in the sheriff Deadpool scene of the trailer? I know it's a reprise of the Celine Dion Song but when Wade makes into heaven and Cable saves him by turning back time, who is singing the Ashes song and where is it available? What that fight dirty song from the fight scene once colossus joins the fight?